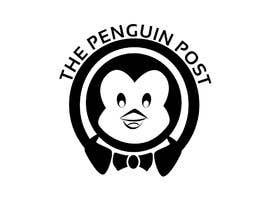 I would like to start a lifestyle blog called “The Penguin Post”. I plan to upload an assortment of content such as DIY projects, personal experiences, and product reviews. 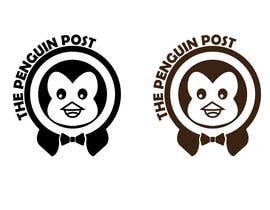 I would like a black and white logo that consists of a circular window with a chubby penguin face looking through; the penguin would have a bow tie and use his flippers to hold him up (as if standing on his tippy toes). 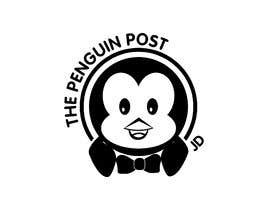 The title of the blog “The Penguin Post” would be curved along the left side of the window. Attached is a sketch of the logo that needs refinement. Hello, your designs are not quite what I am looking for but thank you for entering! Hello, thank you for your entries. But they are not quite what I had in mind. Kindly See My design here #11. My design is editable layer by layer. Any change just knock me. give me your valuable feedback. I'll wait for valuable feedback. Hello, your design is not quite what I was looking for. But thank you for your entry! Can we talk about your Project? Kindly quickly response. Please ....!